The video analyses the need for amending the Kerala Shops and Establishments Act of 1960 to suit the constantly changing lifestyle and shopping trends of Keralites. It presents representatives from the business community with a chance to voice their concerns and choices. Dwelling on how the restriction on keeping commercial enterprises open at night was affecting the business climate in Kerala adversely, the video speaks for boosting trade and thus the state’s economic growth. The spotlight is also on how the existing Act restricts women from working in shops and establishments beyond 7 pm, thus denying them employment opportunities. The solution to these challenges confronting the trading community in Kerala is amending the existing Act in line with the provisions in the Model Shops and Establishments Act, approved by the Central Government in 2016. The proposed amendments will bring about a change in the business climate in Kerala and facilitate the improvement of Kerala’s ranking in Ease of Doing Business. This video is produced by Centre for Public Policy Research (CPPR). CPPR initiated the project on Model Shops and Establishments Act, intended for amending the provisions in the existing Act governing shops and commercial establishments in Kerala. The Shops and Establishments Act is a state legislation that regulates the operation of shops and establishments in respective states. The Model Act is aimed at improving the working conditions of employees in shops and establishments, creating more job opportunities for women in the sector, and providing a favourable environment for doing business. 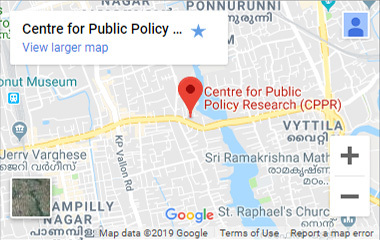 CPPR collaborated with the Labour Department of Kerala and representatives of the trading community, and conducted discussion forums with the stakeholders to harness a collective overview of their concerns, preferences and challenges. Subsequently, CPPR prepared a draft of the proposed amendments to the Kerala Shops and Commercial Establishments Act, which was submitted to the Government of Kerala on March 19, 2018.